May nabago ba sa myDSL ninyo? Re: May nabago ba sa myDSL ninyo? Had our Speedsurf modem changed. The replacement modem is a Prolink something adsl2+ with a cheap plastic exterior and ultrabright green (the Green Lantern kind of green) LEDs. Wala na ba talagang adminpldt account? I can't change the dns settings anymore. ang alam ko dapat meron. pero kung pareho ang nangyayari dyan sa mga fiber users. i guess you need to call pldt and ask them if they blocked the dns settings on your end. User name and password error. I can log in as "admin" where I can access the wlan settings pero wala na yung "adminpldt". Have your searched the TPC forum's PDLT thread? Someone there must have encountered your modem. You can also try PinoyDSL forums. If all else fails, set the modem to bridge mode and use your own router. Good idea. I completely forgot all about tpc. I need it to be in router mode though. They just installed my fiber connection around lunchtime today. Considering I just applied online last June 2, it was fast! Still running on the old copper DSL line right now as the Fiber still needs to be activated, hopefully by tomorrow. The moment it activates I'm having the old line disconnected. Just peeved I have to get a new number and not keep my old one. I wish number portability is available in the Philippines like in other countries.
? maybe you applied for a new line instead of migration. i still have my old copper line phone number now even on fiber. is it globe or pldt fiber? No option for migration when applying online, if there is I couldn't find it on the PLDT site. On the bright side the old number has a lot of spammers and telemarketers on it already. Hassle lang mag-update. Last month I wanted to talk over the phone with a CSR for a billing dispute but there was none. CA blocked the DOLE order for them to regularize all contractuals... but they also ruled that the repairmen, CSR people must be regularized. my parents' DSL connection has been really slow since the rains 3 weeks ago, they've reported to PLDT and someone actually answered! it will take 15-20 days for someone to inspect their connection. geesh. in the meantime they bought a prepaid pocket-wifi. Looks like I'll have to apply for a new DSL (or hopefully Fibr) connection and at the same time apply for disconnection of our old line as early as now. Will be moving house mid-September and we can't afford not having any internet connection on the day that we move in. We are upgrading from DSL plan 999 (allegedly 5mbps) + phone to UNLI Fibr 1899. But because we are on a condo, the fiber cable is only up to the wiring closet at the ground floor. The last few meters will be using VDSL. I said "alleged" because before the ADSL modem would indicate only a downstream rate of about 4mbps. We were getting only about 3.6mbps effective download rate and a piss poor 700kbs upload rate. Soon after we applied for the upgrade, the downstream rate went up to 20mbps. 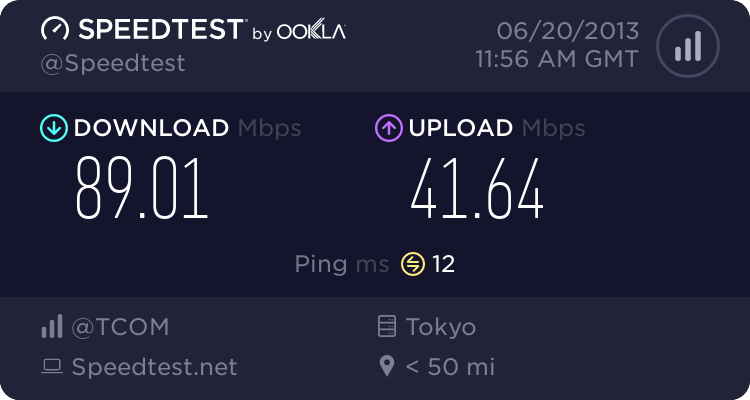 On Speedtest, we were getting 16mbps. The technician delivered the VDSL modem the other day but did not proceed to upgrade because our line was "not yet activated". A PLDT inspector came this morning and wondered why we are still on ADSL. The VDSL modem is model HG180U. I wonder if it is easy to switch to bridge mode. The pure fibr modem I am using at the office settings can't be changed. I asked PLDT to remotely switch it to bridge mode so I can forward ports from my router. what floor is your unit in? This used to be configurable but PLDT silently rolled out a firmware update that locks everything out unless you ask them for a (time-limited) admin account. Luckily it didn't affect what's already set, and I had my port forwards already done when they rolled out that update. congrats!! does this mean their customer service has people again? natengga yung supposed upgrade namin to fibr (pero malamang vdsl last few meters because condo din kami like you though lowrise), pupuntahan na dapat for site inspection, tapos di na natuloy nagkatanggalan na ng contractual. wtf.